Short month means short list of completed books, right? And one of the books I finished I started in 2018. I started a handful of books this month but I had a hard time completing anything. Unique to this month is the fact that I highly recommend both of the books I read. The Best American Short Stories 2018 Edited by Roxane Gay – I already wrote a review on this but THIS WAS GOOD. I haven’t picked up many shirt story collections but when I saw Roxane Gay was the editor I said “TAKE MY MONEY.” She did not disappoint. She selected diverse and thought provoking stories. Fed Up: Emotional Labor, Women and the Way Forward by Gemma Hartley – The article that ignited the internet has become a book. I’ll be writing a long post on this later but the big takeaway is I think this should be required reading for everyone. January found me with stacks of half finished books. This usually isn’t my MO however, I have had outside forces influencing me. I’ve hired someone to help me clean my house and she picks up my books and stows them away. She is a lifesaver in getting me and keeping me organized. She has made finishing books difficult. In addition to the large pile of half finished books, I am trying to work my way through all the books I purchased in the past year. Most notably all of my Odyssey Bookshop First Edition selections. I also had some time off from work and visited friends. Each friend I saw gave me at least one book to read. Sharing books you love with people you care about really is the best. Girl Wash Your Face– Everyone loves it. I did not. She did have some interesting takes but some of them were wildly off. I find the origin story of her and her husband to be the most disturbing. Look for my blog post later this month about it. Nine Perfect Strangers by Liane Moriarty – This is my book club’s February selection and it was GOOD. Moriarty pokes fun at the wellness industry showing how crazy it can be but you can also see yourself in any one of the characters. Or at least I can. It was a wild January and I’m looking forward to a more relaxing February. What did you read in January? I like to use the New Year and my birthday as the times to reflect and refocus. It also helps that they are about 6 months apart from each other. I am proud of myself for starting this website. I have grown my audience on the website, instagram and twitter from zero to about one hundred. I’ve been able to keep up a semi-regular posting schedule on all of the platforms. This has been a great project for me. 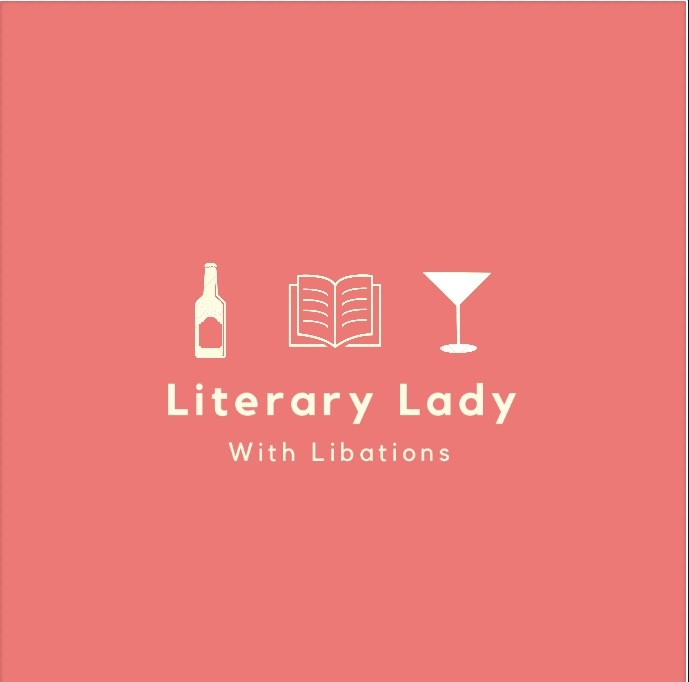 Which brings me to 2019 and my goals for the Literary Lady with Libations site. My goal is to post at least three posts on a month on here, grow my followers on Twitter and get my Instagram feed on a more regular posting schedule. In terms of my personal, I am ready to crush some books this year. I really want to focus on reading more diverse books. I have a tendency to read a lot of fiction. I want to read more non fiction. I want to read more authors from different backgrounds than mine. I want to read more short stories. More poetry! And the only way to accomplish that is by making a conscious choice to pick books that are a little bit outside of what I would normally pick up. And lastly, I want to get out more and explore the different offerings my community has. I have to up the libations game! There are so many new places popping up. I have to get out there and frequent them. What are your goals for 2019? Reading or otherwise. Travel goals? Let me know in the comments! Let me know if there is anything different you would like to see on here too! I’d love to have suggestions of what you want to see here other than book and restaurants posts. Anya St. Clair is a fashion assistant who finally has her dream job. Now all she needs is Sarah Taft to realize that she is her best friend. Sarah is the person who inspired Anya to join the fashion world. Her boss throws a wrench in those plans when she dangles s promotion between Anya and Sarah. If Anya secures the promotion, she knows she will finally get Sarah’s approval. She will stop at nothing. Thus begins Anya’s dark descent into securing her promotion. Pretty soon, all of Anya’s enemies (real and perceived) begin dropping like flies. This book is a hilarious satire about the fashion world and female competition. It also looks into hidden female rage. Women are not allowed to be angry. It is drilled into our head that we can’t be angry or upset ever. Women are taught to always smile. Furthermore, it is drilled into women’s head that they need to be thin and young looking in order to be successful. While this is true across industries, it is especially true in the fashion world. As Anya guides us through her world, she observes that many of these standards are unfair but she still works to fit into the standards. Even though her methods are far from conventional, she manages to get the end result she wants. Seeing as we are about to embark on the holiday gorge of extreme consumer spending, this book is the perfect book to review this week. I found this book in the Cosmopolitan magazine monthly book recommendations. I wasn’t sure what I was expecting. I think the blurb said something about fighting your best friend for a job promotion. Similar to our unreliable narrator Anya, that blurb is not quite how I would describe the novel if only given three sentences. Final Thoughts: Big props to Amina Akhtar for coming up with this story and sharing it with the masses. It’s definitely a dark twist on what type of people the fashion industry breeds but it is highly entertaining. Thank you Amina for spinning your fashion world observations into a wickedly funny novel.